The McDonald’s french fry was once cooked in beef tallow, which is now absent from the ingredient list, but is most likely a part of the “natural flavors” found towards the bottom of the ingredient list. One example, natural raspberry flavoring, is often derived from a secretion called castoreum. Castoreum is released from the dried perineal glands of a beaver. It is a yellowish secretion sprayed by the beaver in combination with the urine of the beaver used during the marking of territory. So to sum that up, when you consume “natural” raspberry flavoring, you are consuming a yellowish secretion from a beaver!!! 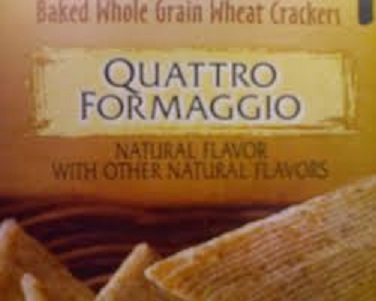 Is the term “natural flavors” a regulated term? In my experiences, when people hear the term “natural,” they instantly think that it means “healthy.” For starters, natural is an unregulated term. In 2010, one in four new products put on the market had a label claiming that it was “natural.” When you see the term “natural,” ignore it because it simply means nothing. The flavor used for almond flavor, benzaldehyde, is derived from “natural” sources such as apricot and peach pits, but often contains traces of hydrogen cyanide, which is a lethal poison. Although peaches and apricots are natural, I personally do not see how using the pits of these fruits for an almond flavor is natural. If it was truly natural, in my opinion, almonds would be used for natural flavors. One substance, that has received much scrutiny in recent years for its possible adverse health effects, is MSG. Companies have found loopholes in the system to avoid having to disclose this ingredient in their products. MSG is now labeled under different ingredients such as autolyzed yeast extract, hydrolyzed soy protein, yeast extract, gelatin, and natural flavors (there are many more as well). MSG is far from a natural flavor. MSG is short for monosodium glutamate and is a neurotoxin, which means that it is a poison that acts on the nervous system. There is a debate as to the exact effects of MSG, but many studies have shown that MSG may cause migraine headaches, anxiety, asthma, chills, dizziness, and many others. This review of MSG provides a good summary of the effects of MSG. MSG has also been shown to cause obesity and since its introduction into the American Food Supply 50 years ago, according to Eric Schlosser, the author of “Fast Food Nation,” MSG has been added in large quantities to fast food, soups, chips, and other processed foods with no regulations set by the FDA as to how much of it can be added to our foods. I should probably add that aspartame, which is an artificial sweetener that has received tons of scrutiny for many of the alarming effects shown in different studies, is also considered a natural flavor. If you are interested in the details of the effects of aspartame, this is a really good article to read. So next time you go to the supermarket and look at some of the labels of your favorite foods and see “natural flavors” in the ingredient list, realize that these flavors are far from natural.